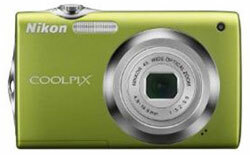 Every year features that appear in mid to high-end digital cameras trickle down to entry-level models. This year, though, it was more like a flood. 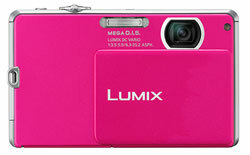 You'll find wide-angle lenses, super-slim bodies, 2.7-inch displays and HD video. Here are a few recently announced models–each priced at $150—that caught my eye. 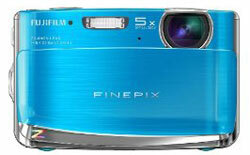 This highly-styled camera doesn't look or feel like an entry level model. 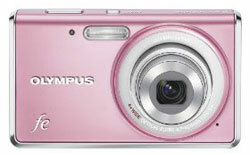 It has a lens cover that doubles as the on/off switch, takes HD video and has optical image stabilization. Measuring a mere 19mm thick, this sleek camera offers a wide-angle lens, "best shot selector" (takes 10 shots and saves the one that has the sharpest focus) and "smile timer" (takes a shot when the camera sees a smile). This feature-rich camera has auto-focus tracking for keeping your subject in focus, a high-resolution 14MP sensor and "creative art filters" (take photos with a photo effect like fisheye, pinhole or drawing). Edit and tag your photos and videos for easy uploading to YouTube and Facebook. Plus this tiny shooter has a lens cover that doubles as a power switch. 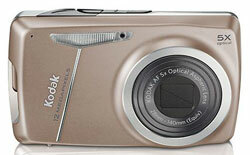 An extra long 5x wide-angle lens and easy tagging and uploading to YouTube, Facebook, Flickr and Kodak Gallery set this camera apart. These are all excellent choices. I just wish consumers could educated on the megapixel myth. More megapixels != better photography especially when viewed on a 2MP LCD monitor. 6 MP is more than enough to allow for cropping and a high quality 20x30 print. Just like buying a $300 pair of NIke won’t make me play like Michael Jordon, a 12MP camera won’t make me into Ansel Adams. I definitely agree. Almost every camera on the market today has plenty of resolution (7 megapixels or more) for normal picture taking, and more megapixels is not necessarily better, especially for the tiniest point-and-shoot models. They tend to just pack more pixels into the same size sensor, so you get more noise (e.g. characterized by color inconsistencies—things like speckling—in large blocks of color, such as a blue sky).